Add a splash of style and colour to gardens this summer, the gorgeous hand-forged Kiftsgate Rose Pavilions from Classic Garden Elements. Complement your garden with a gorgeous feature, and allowing you to create a cherished retreat, an exciting place to unwind, relax, read or enjoy al fresco entertaining. Indeed a refuge in which to enjoy all that is great about gardening. 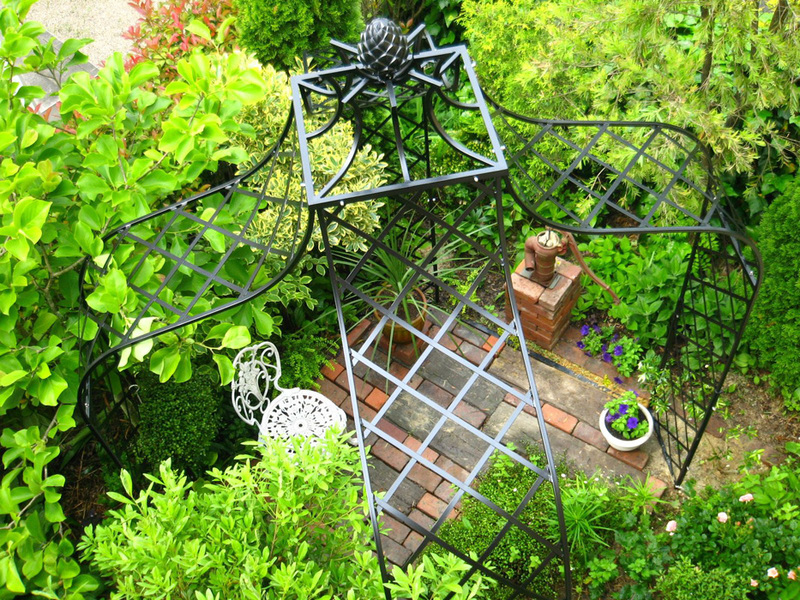 The Kiftsgate Rose Pavilions are very solid and reliably sturdy frame, will complement your garden and ideally suitable for supporting a wide range of colourful fragrant climbers including roses, honeysuckle and clematis. In addition, full ground preparation, landscaping and installation services are also available to our customers, providing peace of mind and convenience that everything will be completed to full satisfaction. Weather resistant and comes with a free 10 year rust guarantee, Kiftsgate Rose Pavilions are made in galvanised steel powder coated black as standard (but other colours available to order) available in diameter of 250cm (8′ 2″) and 300cm (9′ 10″) in height, but other colours and sizes are available to order. Prices start from € 2,450.00 (excluding delivery, installation and VAT). For more information, please call 087- 2306 128. 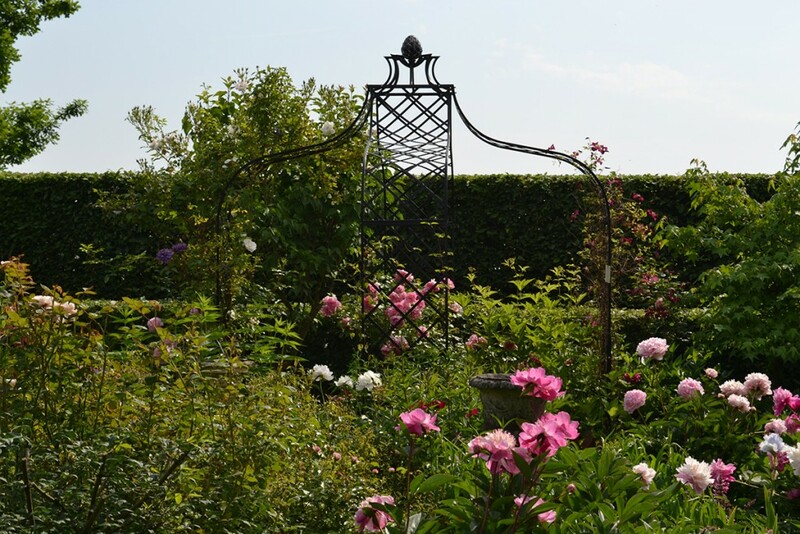 Bespoke and hand-forged Rose Pavilions, are ideal to complement any garden and create gorgeous garden retreats.